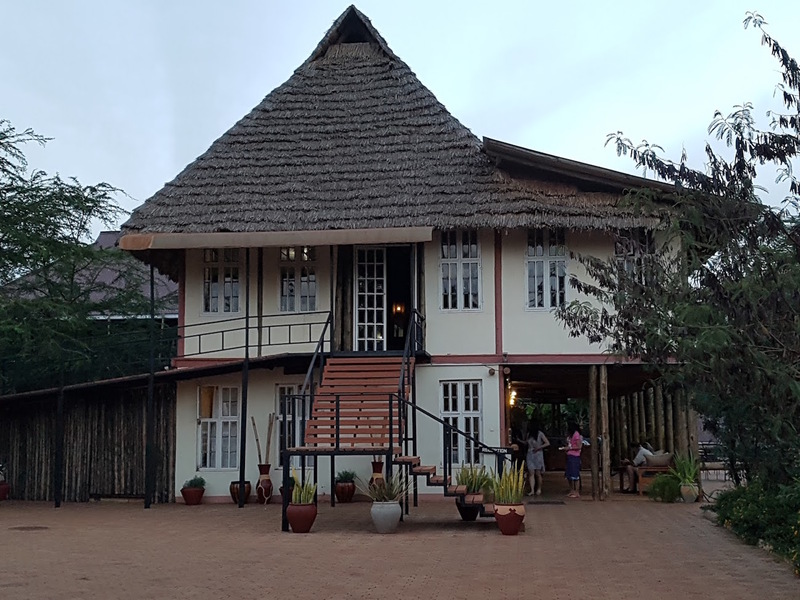 Eileen’s Tree Inn, in Karatu, Tanzania is a one particular nice mid range if not the best lodge in it’s category of lodges located in Karatu township (the Crater Highlands) just a stone’s throw away from the Loduare Main Gate of the Ngorongoro Conservation Area. 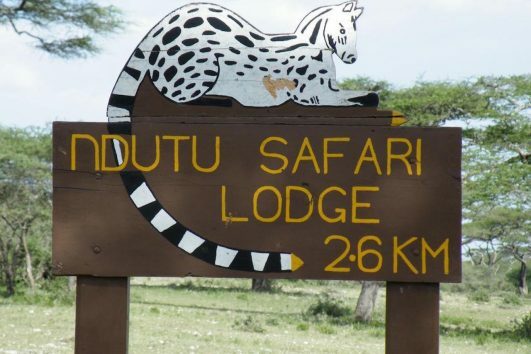 The lodge is located about 2.5 hours from Arusha town and at least 3 hours from Kilimanjaro International Airport. 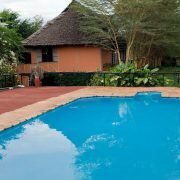 The lodge is owned and managed by local Tanzanians who are very experienced in the Tanzania Safari and hospitality sector an aspect that has helped make it easier for them to maintain the lodge at great standards regardless the lodge’s modest nature and price. 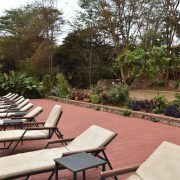 The lodge boasts of experienced staff, very friendly management and great food for it’s standards with most of it’s food being sourced locally in the agricultural Ngorongoro Highlands. 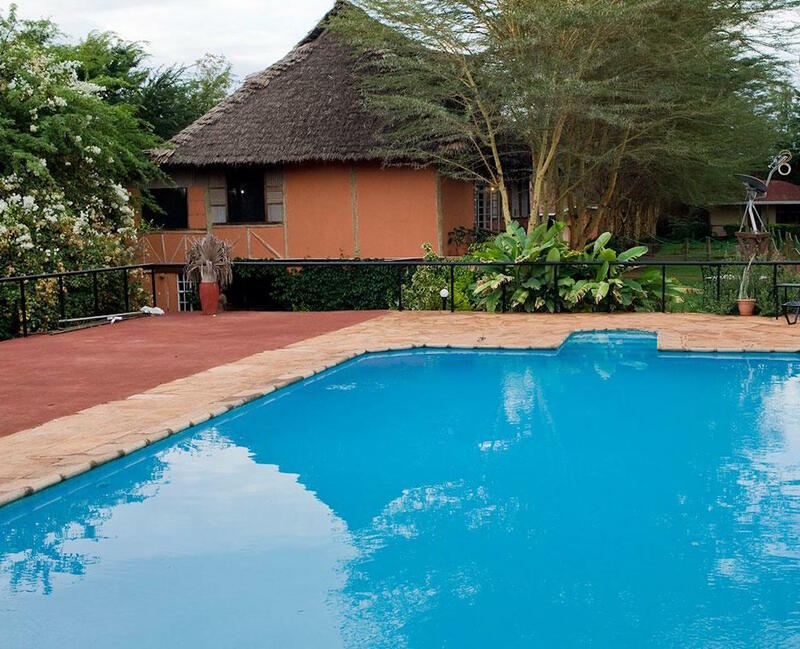 The lodge is set in an area with well maintained gardens and lawn which gives the lodge such a soothing atmosphere for relaxation and making it a great place to stay after a busy day out in the Tarangire National Park, or Lake Manyara National park or Ngorongoro Crater. Yes it’s location is that strategic and you can stay here while doing all these three parks. 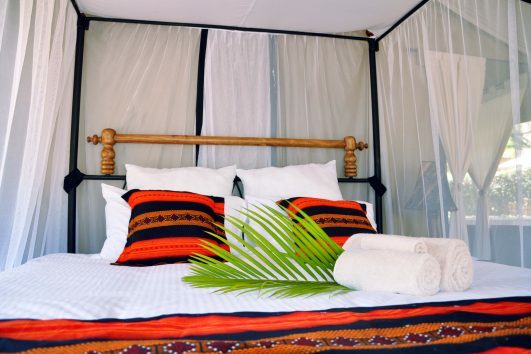 The guest rooms at Eileen’s Tree Inn are set in beautiful tropical gardens, and the lounge area, bar and dining room have the fun, rustic feeling of a tree house. 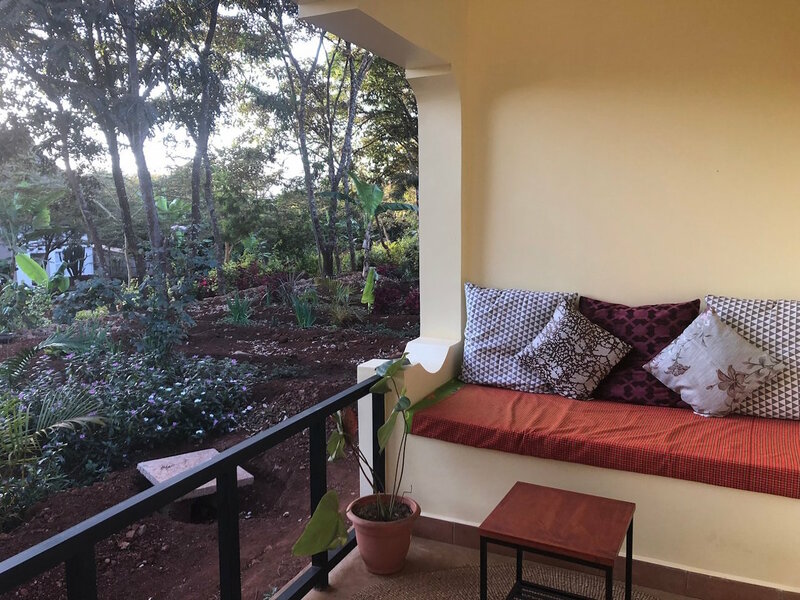 The lodge has ample garden seating area to allow for peaceful relaxation surrounded by lovely trees and flowers which constantly hosts beautiful singing birds. 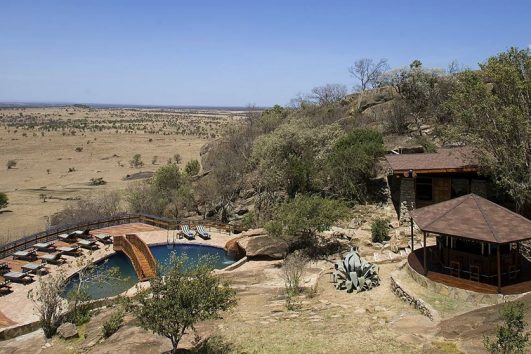 Talk about bird watching from the comfort of your lodge! From locally sourced ingredients the talented chefs take great pride in creating delicious, nutritious. Typical breakfast consists of cereal, fruits and bread with eggs cooked to order. 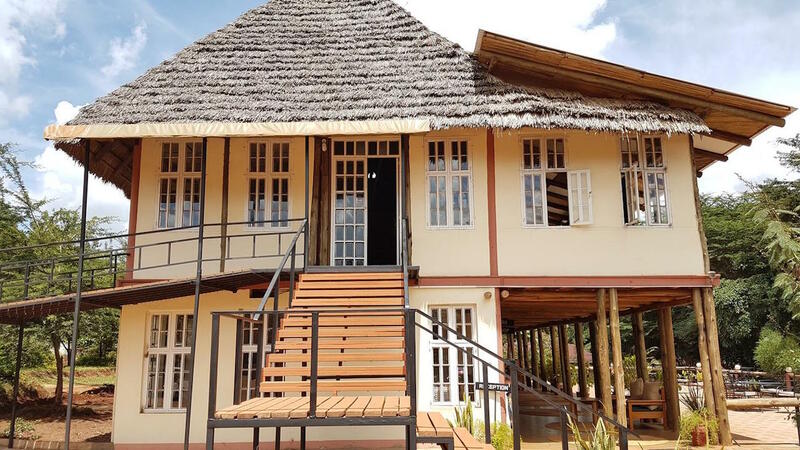 Normally lunch and dinner are served buffet-style and consist of soup and rolls, a selection of salads plus rice, potatoes, vegetables and meat or chicken dishes followed by scrumptious dessert. 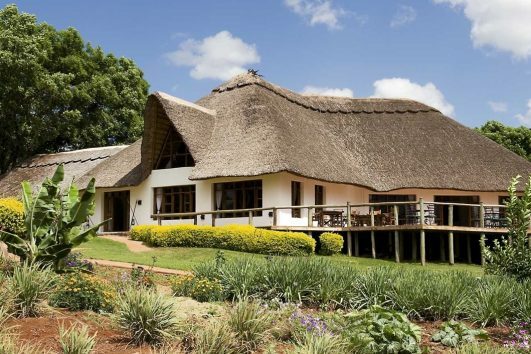 The lodge can also cater for special dietary needs like vegans, vegetarians or any other restrictions as long as they are notified in advance. 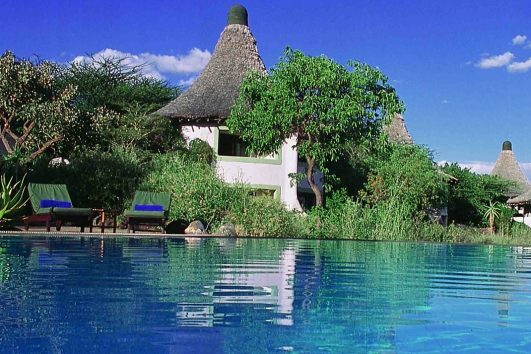 We whole cordially invite you for a safari in tanzania and a peaceful stay at the Eileen’s Tree Inn. 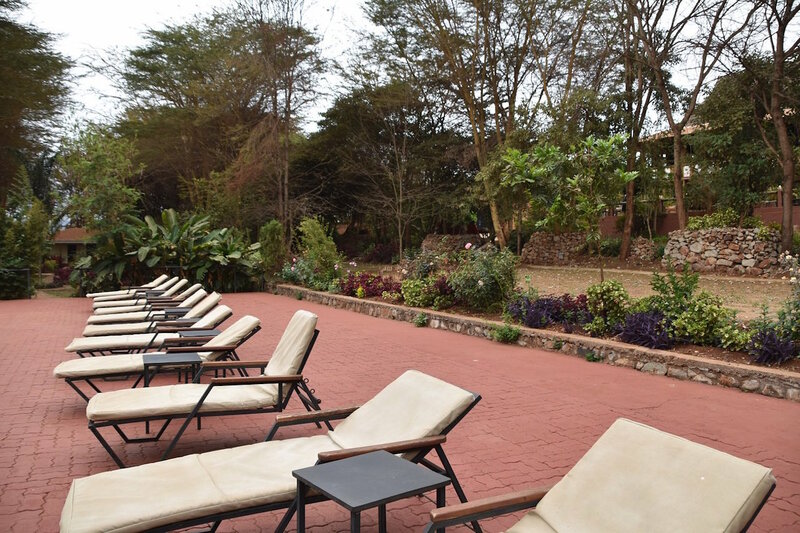 The rooms are spacious and comfortable privately situated throughout lush gardens. 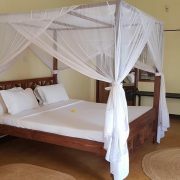 Each room has twin beds or a large (queen size) bed with mosquito nets. 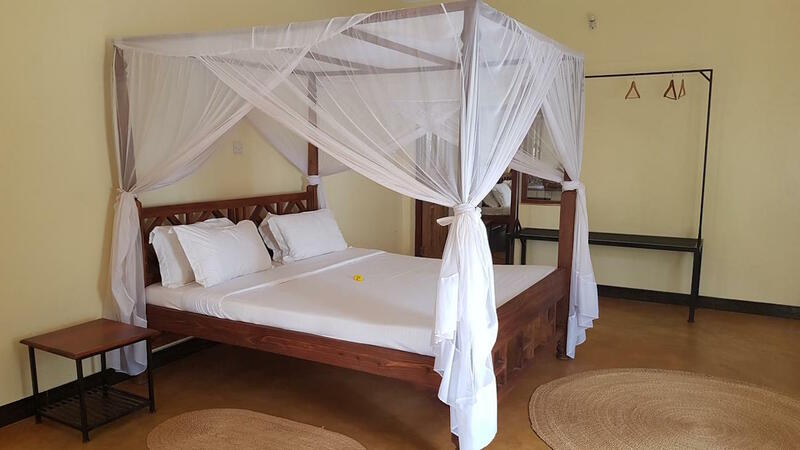 Triple rooms for three people are also available upon request in advance. 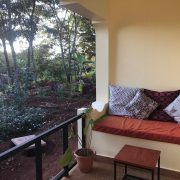 All rooms have a writing desk (working desk) and seating area on the veranda. The bathrooms have a large shower with hot water on demand. Bottled drinking water is provided in every room.